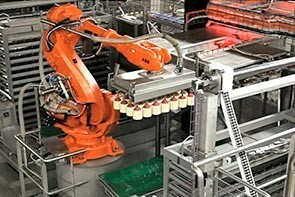 Technology in the conveying sector | Sulbana AG – Käserei-, Hygiene- und Verpackungstechnik. Sulbana AG specialises in materials handling systems and offers its customers solid, comprehensive knowledge in this area. We manufacture belt conveyor systems, with modular belts, belt conveyors, pull nose systems, push rod conveyors, 3 axle manipulators and transfer units with the highest hygiene design. 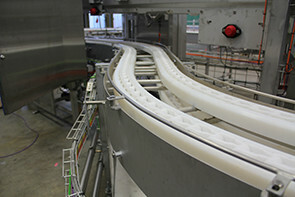 If necessary we fit our conveying systems with automatic foam cleaning systems. Our strengths lie in the project specific manu-facture of conveying systems – the aim is to find an individual, cost-efficient solution for every customer.